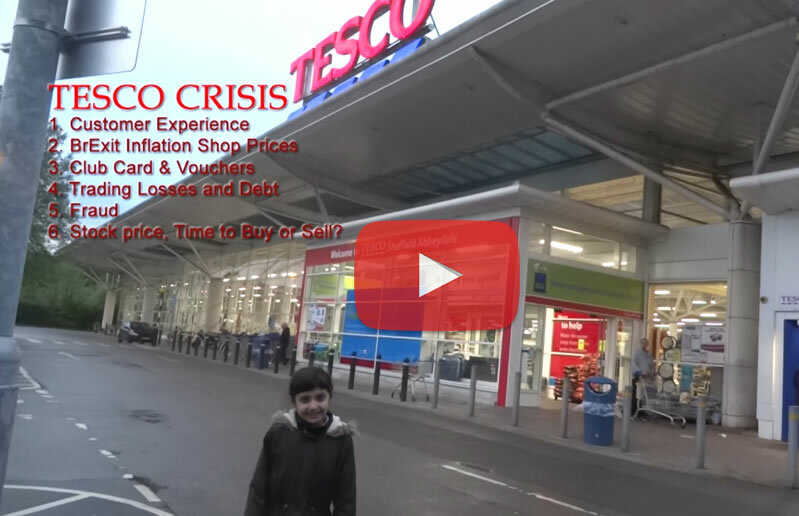 BBC Inside Out Tesco Rip off Offers - Determined to Lose Big Spend Customers! At 7.30pm tonight the BBC's Inside Out programme will be broadcasting (also available on iplayer) of how Tesco customers are being ripped off as shelf advertised offers fail to convert at the checkouts due to the promotions having ended days, weeks or even months earlier! For instance 'buy 1 get 1 free', at the checkout can result in customers paying double the expected price in most of Tesco stores, as the BBC investigation showed 30 out of 50 stores tested demonstrating the issue of advertising promotions that do not convert at the checkout tills! However, this is just the tip of the ice-berg that Tesco customers face, for as this and my earlier similar analysis of 2 months ago revealed that at the core of Tesco's current crisis are the deep staff cuts in the wake of a series of crisis that have been hitting the super market giant for the past 3 years as I have been covering in articles and more recently my 'Tesco Crisis' series of videos. Though with the case of expired shelf offers tricking customers into making purchases goes beyond Tesco as it is an industry wide problem for I and I am sure many shoppers were already aware of such practice before the BBC Inside Out investigation. So yes the problem occurs in Morrisons, Asda and other super markets, but probably not on the same scale as at Tesco which is why for a long time as a matter of routine I have made sure to read the small print on the shelf labels so as to ensure that the offers have not already expired which typically tends to be my experience most of the time at Tesco! Again the root cause of this issue is one of STAFF CUTS, far too few staff work in the stores to allow for an efficient delivery of service, hence why expired offer labels are not being removed form the shelves. Now I am not saying this with the benefit of hindsight AFTER BBC Inside Out revealed its investigation into Tesco, for my own experience and analysis came to a similar conclusion months ago as illustrated by my following video, the first in a 6 part series that looks at issues regarding customer service due to lack of staffing of which old offer labels are just one symptom of, and it is not entirely clear whether BBC Inside Out will connect the dots and arrive at the same conclusion that one of the primary reasons for old offer labels is that they are now far too few staff working in Tesco stores to allow for an efficient delivery of service. The bottom line is lack of staffing, and all of these little tricks of the trade that Tesco is apparently pulling to elevate profits are putting off big spend customers from shopping at Tesco. As a personal example whilst my local Sheffield Tesco store is conveniently situated. However I am increasingly seeking out alternatives such as Morrisons at twice the traveling distance because the experience of shopping at Tesco is becoming so off putting. Whilst a few shelf offers failing to convert at the tills may not sound like much extra cost individually, however they do mount up on a big shop spend of say £240 that could amount to an 10% EXTRA cost of £24! Which DOES leave a bitter taste in ones mouth and IS enough to put big spend shoppers off from returning to Tesco when they take a look at their receipts at home. Which means that the Tesco crisis looks set to worsen further during 2017! Personally, my number of shops is now about 1/2 that which it used to be, so Tesco annually from one big shop customer alone is losing about £5,000 in revenue, multiply this by several hundreds of thousands of big shop customers cutting back on shopping at Tesco and you get the answer why Tesco is seeing a collapse in its revenues from £64 billion for 2012 to £54 billion for 2016, a trend that is likely to continue during 2017.